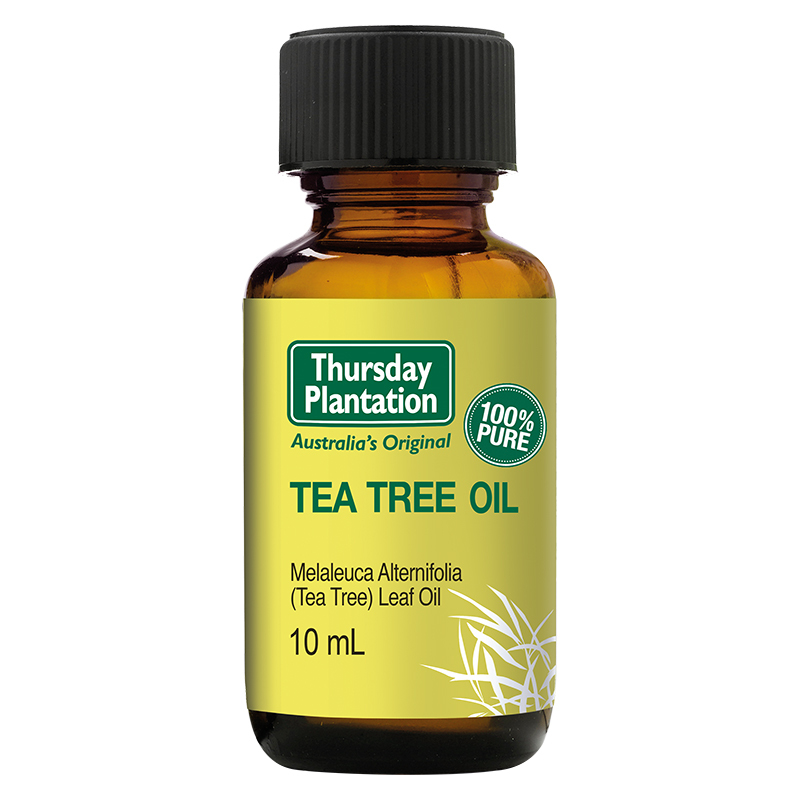 Australia’s natural antiseptic, Tea Tree Oil is distilled from specially selected Melaleuca alternifolia leaves, a plant native to the coastal regions of northern New South Wales and south eastern Queenland, Australia. This 100% pure, 100% natural oil is a powerful antiseptic which inhibits a broad spectrum of bacteria and fungi and cleanses and protects skin abrasions. Tea Tree Oil is well tolerated by healthy skin tissue, and does not inhibit normal cell growth. Treats fungal infections such as athlete’s foot and nail infection. Cleaning: Kills 99.9% household germs. Sourced from and made in Australia. 100% pure. Free from SLS, parabens, synthetics and fillers; guaranteeing unaltered, pure oil. The germicidal active in Thursday Plantation Tea Tree Oil, terpinen-4-ol, is at least 30% greater than International and Australian standards. Lower risk of potential skin sensitisation, due to low para-cymene content, a potential irritating agent that can occur in essential oils. Apply sparingly to minor cuts, burns, abrasions, pimples, boils, bites and stings. Apply Tea Tree Oil directly or on a cotton bud. 100% pure Melaleuca Alternifolia (Tea Tree) Leaf Oil. Do not cover the applied area. It is recommended you skin patch test prior to use. While pregnant or breast-feeding without medical supervision. Near eyes. Seek medical attention if contact occurs. On children under 2 years old. Undiluted oil on children under 12 years old. Skin patch test prior to use. In a recent interview with Allure, Meghan Markle revealed that Tea Tree Oil is one of her essential travel must-haves.